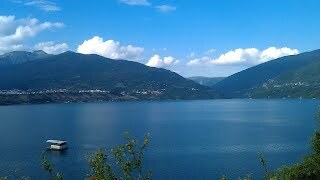 So here we, Albania! This is where the fun really begins. The mad dash for the ferry was a bit unnecessary after all- about 2 hours after we had arrived, they were still processing our passports, and we had to step in to assist with collating, sticking and stapling 130 tickets to 40 car passes. 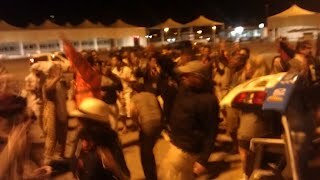 Meanwhile, dumball did what it does best: a massive car park party. It’s the only time we all get to hang out and explore thecars while bemusing the locals. This is where the hours installing PA systems, laser displays and water cannons comes into it’s own. So spirits were high when finally boarded the boat about midnight, drivers headed to bed, gamblers headed for the casino (read: 3 fruit machines in a darkened room) and everyone else headed to the bar. 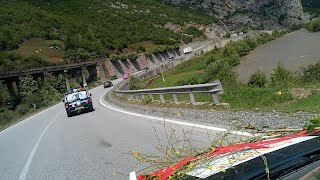 And now we’re ‘cruising’ through the Albanian mountain roads – the quality of which far exceeds their inner city efforts. As we have seen before, the Albanian love a) hanging around, just passing the time near a road b) when said pastime affords them a prime position to watch the dumball. Playing ‘get a wave’ is far to easy here. 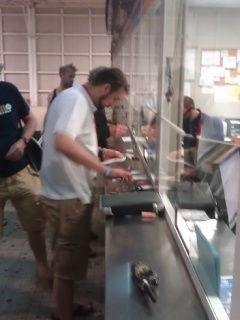 And now it’s tine for hours if paper shuffling: we’re at the Macedonian border! …and I’m obviously getting a bit behind here. But there’s no data connection in Albania and Macedonia, and the wifi at the hotel is rubbish. Sorry! No fear: Sofia. Sofia, so good. So near, yet Sofia.